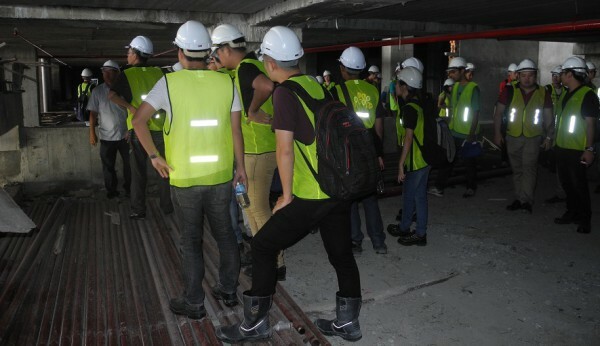 Miri – 20 May 2015 – 35 third and fourth-year civil and construction engineering students of Curtin University, Sarawak Malaysia (Curtin Sarawak) were able to experience first-hand the operations at various engineering projects in Kuching during a 3-day study trip to state capital recently. 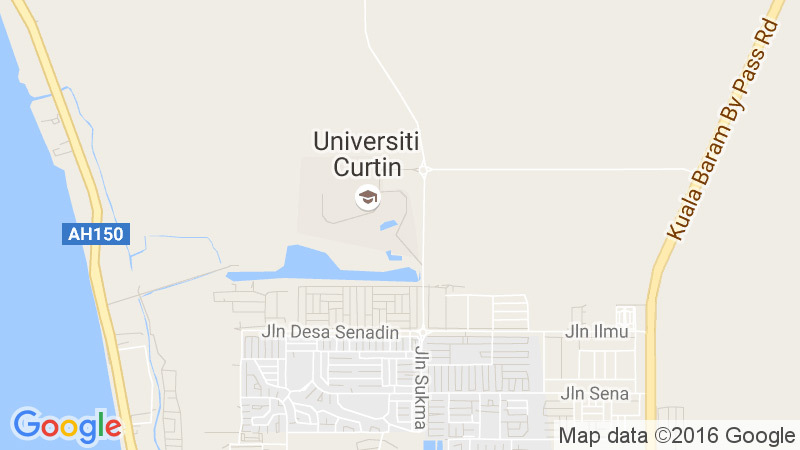 The trip was organised by the Curtin Civil Society, Curtin Sarawak’s civil and construction engineering student club. Accompanying the students were the head of the Civil and Construction Engineering Department, Faculty of Engineering and Science, Dr. Tang Fu Ee; senior lecturer Dr. Wong Kwong Soon and lecturers Dr. Tina Ting Chui Huon and Carrie Ho. Sites visited included the Kuching Centralised Sewerage System’s wastewater treatment plant, Kuching Barrage and Shiplock, and the ViVaCiTy Megamall and Stutong Heights Apartments II construction sites. At the wastewater treatment plant, the students viewed the various components of the plant. They were highly impressed with the complex retrofitting works carried out in the city as part of the system’s implementation. They also had the opportunity to learn about the Supervisory Control and Data Acquisition (SCADA) system used by the plant. At the Kuching Barrage and Shiplock, the group’s visit was hosted by the General Manager Captain Goh Chin Guan of Kuching Barrage Management Sdn. Bhd., which manages and operates the facility under the supervision of the Sarawak Rivers Board. The students were given a briefing by Captain Goh on the history, construction, operations and maintenance of the barrage and got to see the barrage gates being opened to release water from the river to the sea. They also learned how real-time water and rainfall data collected via the facility’s telemetry system is used to predict discharge and water level and determine when the barrage gates are to be activated. Third-year student Chan Guan Chii said the visit to the barrage and shiplock was a real eye-opener as the students were able to see for themselves a one-of-a-kind hydraulic structure combining a barrage gate, shiplock and flyover bridge. At the ViVaCity Megamall construction site, the students learned how a large-scale and mixed-development construction project is run, while at the Stutong Heights II site, they observed foundation and piling works and learned about construction sequences and techniques. Final-year student Kok Ka Yee remarked that the trip was an excellent opportunity for herto bond with her lecturers and fellow students, while third-year Pakistani student Kashaf Ghani Sheikh said that he came away with an increased knowledge of the civil and construction engineering field and also fond memories of Kuching. Commenting on the trip, Dr. Tang said such study trips are organised on an annual basis to ensure students obtain real industrial experience in a wide range of civil engineering works. “We strongly believe that practical exposure to the industry makes our graduates marketable. In fact, our graduates fare very well in the job market. Their employers have given us very favourable feedback with regards to their capability and technical skills” he said.